Abundant sunshine. High 89F. Winds SSW at 5 to 10 mph.. It takes a special type of person to thrive as a planning commissioner. You have to wade through piles of technical studies and legalese, adjudicate disputes between applicants and neighbors, and interpret and apply opaquely worded regulations. It’s hard to think of a St. Helenan more qualified for that challenge than our latest guest, the Planning Commission’s thoughtful and experienced chair, Lester Hardy. He’s served on the City Council and the Ad Hoc Utility Rate Committee, worked as an attorney on local business transactions and real estate deals, and pondered the ramifications of decades-old contracts and council resolutions that would put most of us to sleep. Hardy’s job is a crucial one. He and his four fellow commissioners wield great power in approving or denying use permits, commercial developments and housing projects that will permanently change St. Helena. The Fulton Lane office buildings the commission approved last week are a good example. Another is the General Plan update, which returns to the commission on Tuesday, April 16. After so many years, Hardy said he’s inclined to adopt the General Plan as quickly as possible and fix any remaining imperfections later. The City Council seems to agree. How will the adoption of the new General Plan affect our lives? In the short term, not much. But as the commission embarks on a comprehensive overhaul of St. Helena’s zoning ordinance, you’ll start seeing new regulations concerning the types of businesses allowed downtown, residential floor-area ratios and setbacks, and other matters that can have very tangible consequences indeed – especially if the house in question is right next door to yours. The current zoning ordinance is outdated, inconsistent and ambiguous. Hardy said the commission is continually running across a regulation that could be interpreted in multiple ways, most recently involving the side-yard setbacks of the Fulton Lane office buildings. The Planning Commission will be responsible for building a zoning ordinance that fixes those problems, aligns with the new General Plan, and complies with a slew of new state laws regarding housing development. 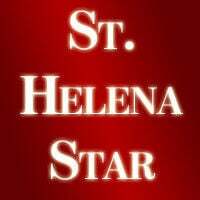 As Hardy put it, just like St. Helena has fallen behind on maintaining its physical infrastructure, it has also deferred maintenance of its administrative infrastructure, with the same expensive and complicated consequences. Looking at the empty storefronts on Main Street, it’s easy to see his point. In the age of Amazon, we’re expecting retailers to thrive under a zoning ordinance that was written when Jeff Bezos was just another hedge fund manager. The General Plan and zoning ordinance aren’t the only important matters that will come before the commission. The Hunter project is under environmental review, Ted Hall’s hotel proposal next to Farmstead is working its way through the Planning Department, the city will be developing a Climate Action Plan, and Hardy said there are early rumblings of a hotel proposal on the Adams Street property, although no application has been filed. There’s also Rodney Friedrich’s long-awaited hotel project, which is nearing the end of its 10-year development agreement. Those projects will raise a lot of important questions. Will they increase foot traffic downtown, or at least reduce the vehicular traffic that discourages visitors from becoming repeat customers of local businesses? How will they affect the city’s imbalance between jobs and housing? How do we maintain economic vibrancy and a sufficient housing stock without sacrificing the small-town community character we cherish? Hardy and fellow commissioners Autumn Anderson, Daniel Hale, Bobbi Monnette and John Ponte will have to wrestle with those questions, and it won’t be easy. Few of us have the time, skills or inclination to endure the technical details of being a planning commissioner. But given the importance of the job, our commissioners deserve our attention, participation and gratitude. The Star editorial board consists of editors David Stoneberg and Sean Scully and community volunteers Norma Ferriz, Christopher Hill, Shannon Kuleto, Bonnie Long, Peter McCrea, Gail Showley and Dave Yewell. It takes more than a classroom, a teacher and a pen and pencil to produce a well-rounded education.